“Healing, God’s Forgotten Gift,” a study by Dr. David Stewart, using Twelve Oils of Ancient Scripture. I am holding this study in our home for the next eight weeks. This subject and knowledge is desperately needed in today’s world. Personally I’m tired of seeing sick people suffer and die under the care of modern medicine. Yes, modern medicine has its place and should not be discounted. But until we understand what God HAS ALREADY provided for us for healing our body, mind, emotions and spirit, we are seriously lacking abundant blessings and healing that God desires for us to have. 3 John 2 says; “Beloved, I wish above all things that you may prosper and be in health, even as your soul prospers.” In other words, John is saying that God wants us to prosper on all levels – materially, physically, and spiritually. God’s will is not to heal you; God’s good and perfect will is for you to not become sick in the first place! He has provided medicine from the beginning knowing that one day man would fall and become susceptible to sickness and disease. 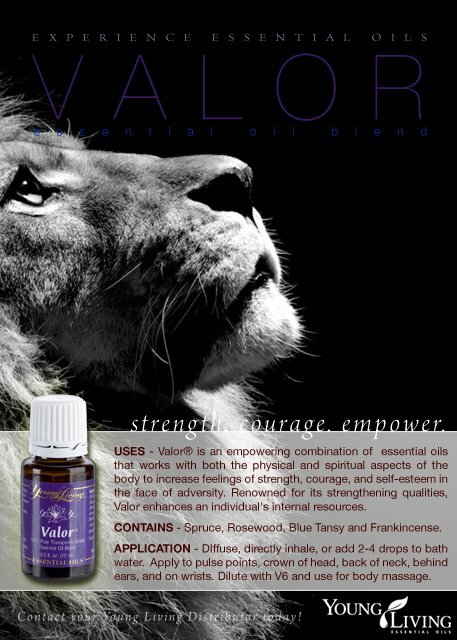 Valor ~ a blend of: Spruce, is anti-infectious, anti-septic, and anti-inflammatory. It helps open and release emotional blocks, bringing about a feeling of balance and grounding. Rosewood, is anti-infectious, antibacterial, antifungal, antiviral, and antiparasitic. It is soothing, creates elasticity, helps the skin rid itself of irritations and problems, such as candida. Blue Tansy, works as an antihistamine, anti-inflammatory and stimulant for the thymus gland reducing dermatitis, arthritis, sciatica, tuberculosis, and allergies. Frankincense, high in sesquiterpenes, it helps stimulate the limbic part of the brain, which elevates the mind, helping to overcome stress and despair. Muscle pain and much more! Joy ~ a blend of: Rose, which possesses the highest frequency of the oils. It creates a sense of balance, harmony, and well-being. It promotes healthy skin, reduces scarring, and skin disease. Brings joy to the heart. Bergamot, balances hormones, calms emotions, relieving anxiety, stress and tension. Used in the Middle East for hundreds of years for acne, boils, eczema, scabies, varicose veins, ulcers and much more. Mandarin, is antispasmodic, antiseptic, antifungal, supports hepatic duct function and works as a digestive tonic. It helps with insomnia and good for stress and irritability. Ylang Ylang, helps bring a sense of relaxation. Balances equilibrium and confidence. Lemon, is stimulating and invigorating, promoting deep sense of well being. 1995 Mia University study found that citrus fragrances boosted immunity, induced relaxation and reduced depression. Geranium, stimulates the nerves and helps release negative memories so joy can be attained. Jasmine, an exquisite fragrance that revitalizes spirits and brings feelings of support and love. Used to relieve sorrow, depression, and nervous exhaustion. Palmarosa, enhances the nervous and cardiovascular systems bringing about feelings of security. Roman Chamomile, releases mental blocks and purges toxins from liver where anger is stored. Combats restlessness, tension and insomnia. Rosewood, is high in linalool, which has relaxing, empowering effect and gives feeling of being grounded, stable and strong. Balance emotions and much more! I will be sharing what oil/oils we use during this eight week study along with some of their benefits. 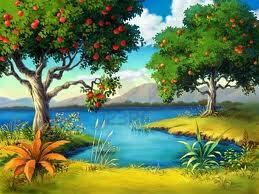 It is my hope and prayer that you enjoy what you learn with us. But most important, that you ask the Lord what He would have you do concerning your health and the health of your loved ones. See you next week. yet effective. A lot of times it’s difficult to get that “perfect balance” between user friendliness and visual appearance. I must say that you’ve done a fantastic job with this.